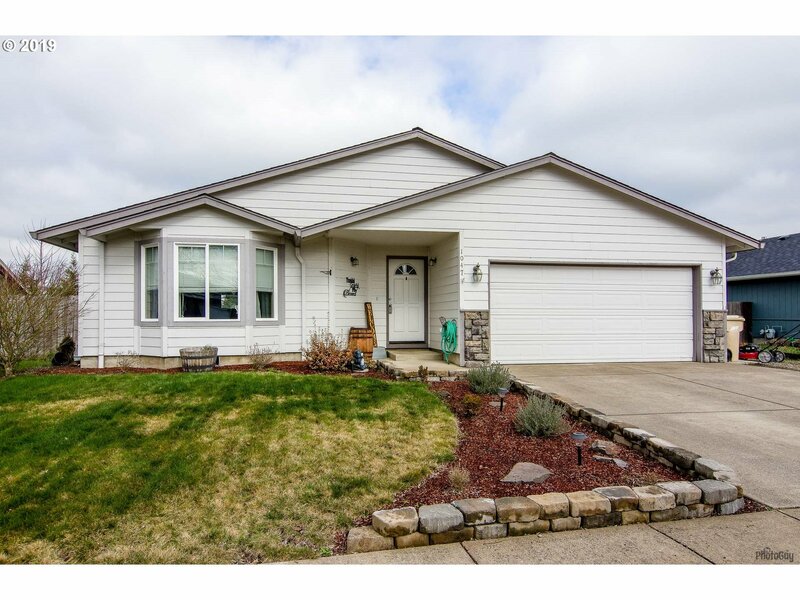 Newer Home w/ Updates Throughout in Great Location- Minutes from Coburg & I-5. Spacious Floorplan w/ Vaulted Ceiling in Living Room, Gas Fireplace w/ Stacked Stone Surround, Recessed Lighting & Vinyl Windows. Kitchen Features Gas Cooking & Maple Cabinets. Updated Laminate Flooring, Three Spacious Bedrooms, Master Suite Offers Private Bathroom & Double Closets. Huge Fenced Yard For Entertaining, Large Patio, Dog Run & Much More.